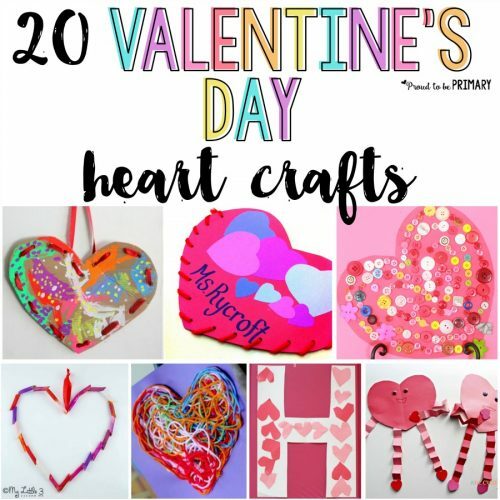 Valentine Mailbox Idea: Create Valentine’s Day Heart Pockets! Instructions on how to make a cute valentine mailbox. 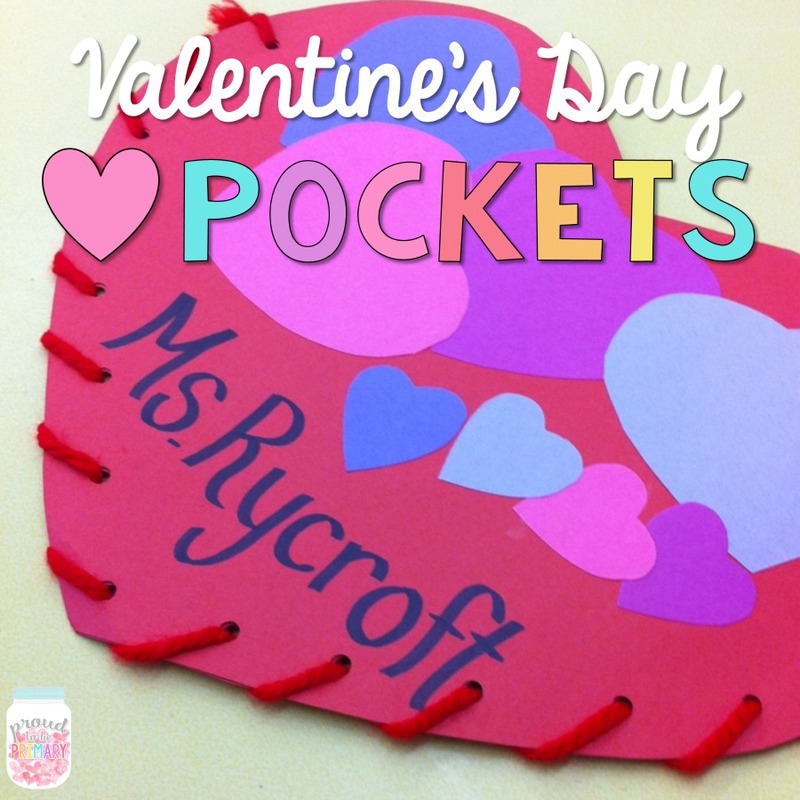 These Valentine’s Day heart pockets can hang and hold cards, and kids love them! 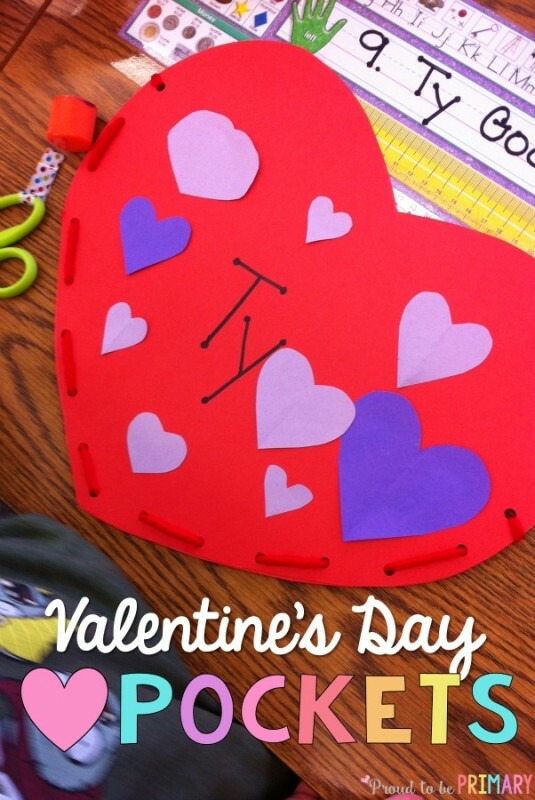 I’m here today to share how to make a Valentine mailbox for the classroom or home. This is a cute and fun way for kids to have somewhere to put the cards they make or buy for their friends. It requires some preparation on the part of the teacher or volunteer helper, if you have one, at first. 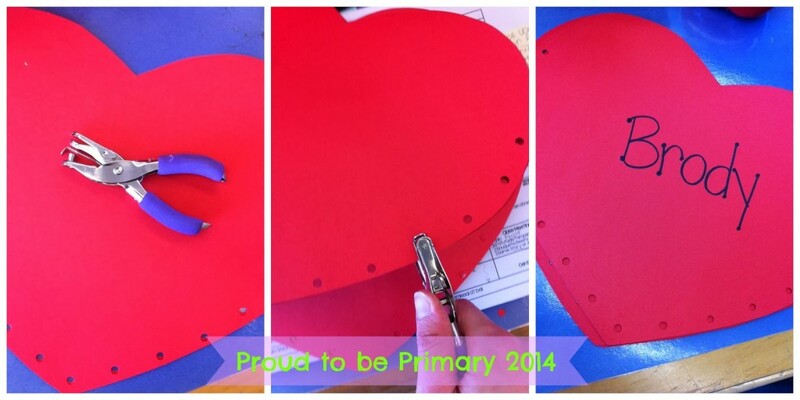 Easiest Valentine Mailbox: Valentine’s Day Heart Pockets! You will want to prep a little beforehand by gathering the following materials: red tag board, red yarn, multiple colors of paper, scissors, and glue. To save some time, you may or may not wish to precut some of the hearts for the children. I also suggest creating a sample, finished version of the Valentine mailbox. In this way, children can see what the finished product will look like before they begin. First, I use 4 ply tag board in red but you could use any colour you wish. Then I take a tracer of a large heart (size 14” x 12”) and use that to trace large hearts. 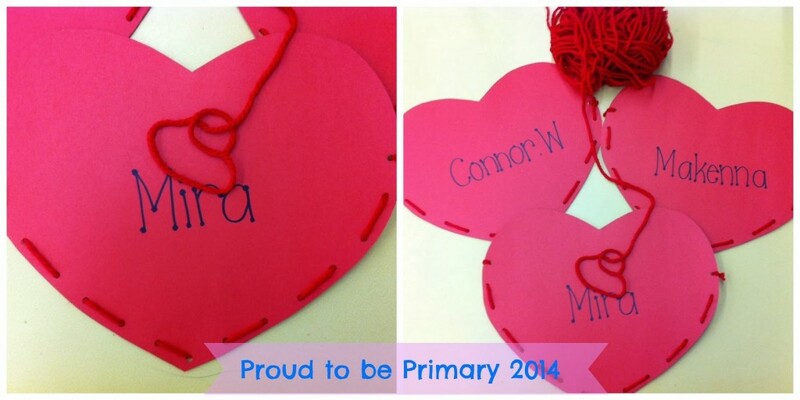 I make sure to trace two hearts for each student and teacher in the room. Next, I cut them all out. Then, I take two hearts together and use a hole punch to punch holes along the bottom edge up to the half way point (about 18 holes altogether). Next I used red thick yarn to weave in and out of the holes, tying the ends to secure. You can do this in different ways if you wish. I have had students to the weaving before for practice but it’s a little too hard for my firsties since the yarn unravels so easily. I have also left a long string on both side and tied a bow at the top to hang. The way we made them this year, we will staple them to the wall from inside the pocket. Then, it’s the fun part for kids….they get to decorate! This is where you can be creative. 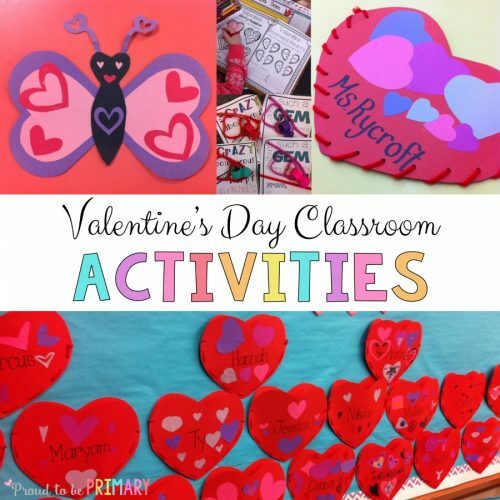 This year we used lots of construction paper in different Valentine colours and taught the kids how to cut hearts the easy way (folding the paper in half). I have in the past also used form stickers and shapes, theme stickers, sequins, sponge painting, or cut the hearts on white tag and let the kids draw and colour. 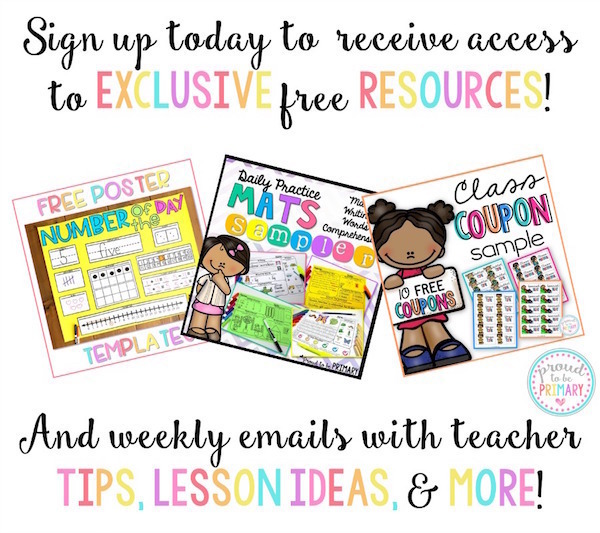 It’s up to you and your students. I like that construction paper is fairly mess free. 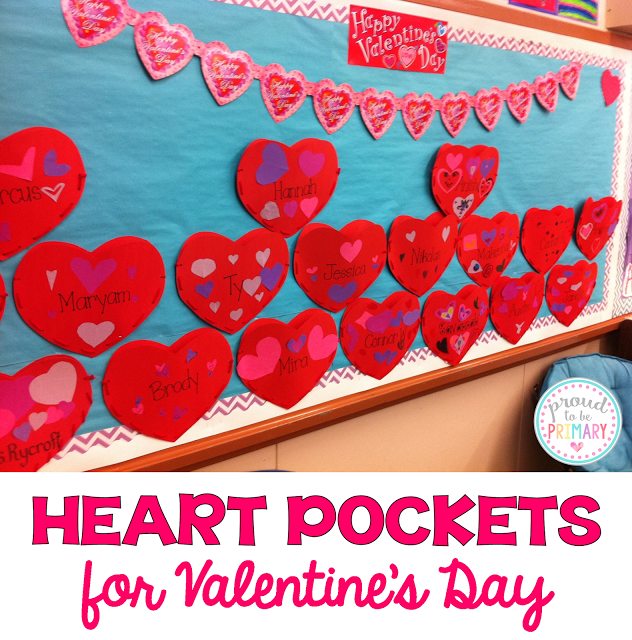 After they are finished, create a cute Valentine’s Day bulletin board display with all the pockets. Keep them low enough for children to reach. I hope that you love the Valentine mailbox idea! 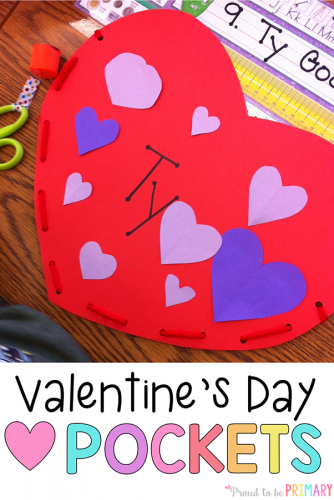 They are such a fun way to hold Valentine’s Day cards! 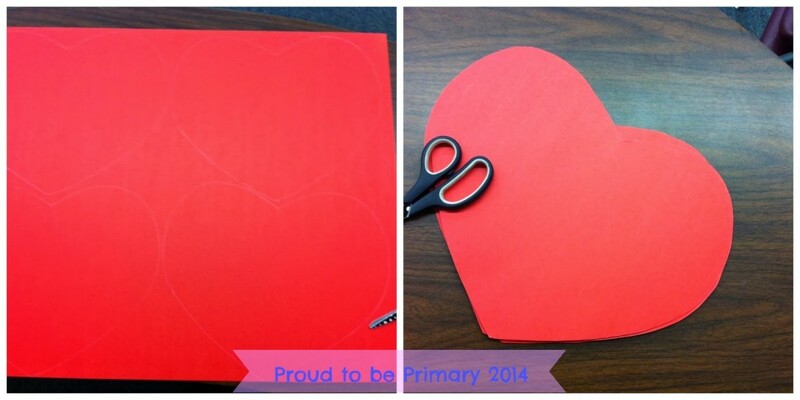 How do you hold your students Valentine cards? 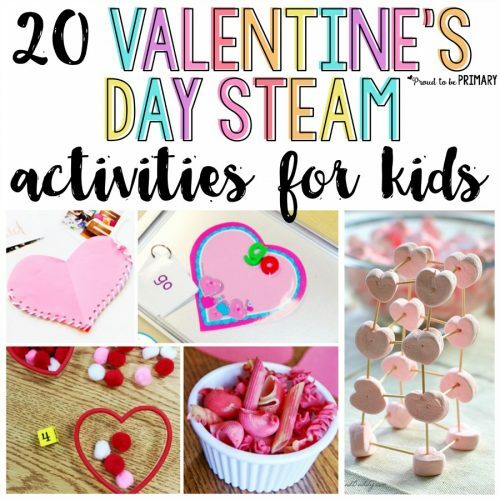 Check out this Pinterest board full of Valentine’s Day FUN! Want to Add More Fun with this Valentine Mailbox Idea?